Insight® Controller for Grain | Headsight, Inc. 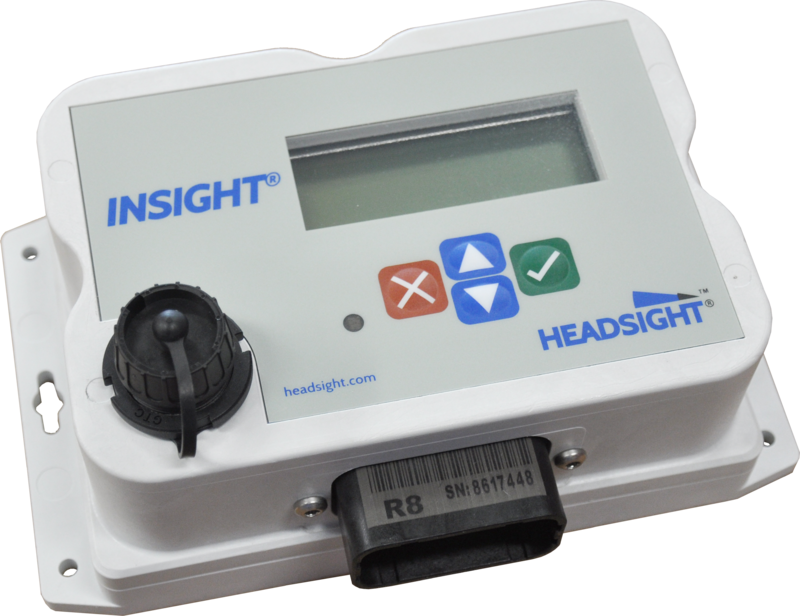 The Headsight Insight interface controller allows the operator to surpasses OEM and direct wire header height performance. It increases the maximum number of analog height sensors to 5 and includes advanced settings to optimize height control. Precision performance controls like Foresight (for corn), and Feathersight (for grain) are optional features available with Insight. By using the readings from the header height sensors and the feederhouse lift cylinder pressure, Feathersight combines the operating range of the height sensors with the operating range of float mode to give seamless control through the whole range from high in the air to pressure on the ground. This also allows the operator to feather the header lightly on the ground - adding flexibility to maximizes yield by enabling header optimization for the crop conditions of the area being harvested.